Today is the start of a beautiful day, and it’s the beginning of a new blog series that will be known from this point forward as True Facts from the Small Town of Phenix, Virginia, as remembered by someone who was once a small child. “True facts.” Aren’t the words “true” and “facts” when placed next to one another as a phrase redundant? Yeah, technically. But it makes for a more interesting blog title. Phenix, Virginia? Where in sam hell is that and who cares anyway? Look, I know some people think Phenix is an economic wasteland and an absolute s–thole. Yeah, I’m talking about you Bud Tapman. But I’m here to tell you it isn’t, and the knowledge I’m about to drop on your a-double-s of its rich history will indeed prove a proof Phenixians (this is what we are called) already know to be true. In this, its debut, I was going to start with something about Patrick Henry and the true facts of why he chose to erect his manor in such close proximity to Phenix in neighboring Red Hill, a place where I and other Phenixians celebrated the Fourth of July and America’s independence each year (how patriotic American can you get? ); how it was here, in Phenix, Virginia, though it was not yet named as Phenix or incorporated in such a way, that Patrick Henry pondered the words give me liberty or give me death before those very words filled the air in infamy for the royal crown. (Author’s note: Because everyone from the 18th century is dead, I was not able to verify 100% accuracy of this aforementioned true fact). But I’m not going to talk about Patrick Henry in this, its debut, of True Facts from the Small Town of Phenix, Virginia. No, I want to tell you the brief story of one of the most notorious street gangs to ever roam America, a street gang so quintessentially Phenix, it’ll make you crave a pizza burger from Buck’s on Main. In the mid 1980s, there was a makeshift skate park on the tennis court off Church Street in Phenix, Virginia, where long haired, zit-faced teenage boys would do kick flips and ollies on their skateboards and smoke cigarettes under their perfectly constructed wooden quarter pipe while listening to The Ramones and Motörhead. These kids formed a rough and tumble street gang known as The Aces. See end note. If you’re currently attending Randolph-Henry High School in Charlotte Court House, Virginia, ask your agriculture teacher Jim Pugh what a ‘pop shuvit’ is, and watch as he tries to blink out the gleeful nostalgia that just entered his eyes. Or, even better, hand him a playing card with the ace of spades and say, “Yeah, I know,” and walk away. Best yet, just hand him the card and walk away. Don’t say anything. Your silence and the knowledge of his mysterious past just blew his mind. Blew… his… mind. Blew it! There were four members of The Aces that I recall. I used to spy on them from the top hallway window at my house which overlooked the basketball and tennis courts. Their names were Jay Taylor, A.E. Newcomb, Barry Nester, and Jim Pugh. One day The Aces were popping popcorn in a house at the end of the pool hill on Park Street. That’s correct. This area in Phenix is indeed known as “the pool hill.” Everything has a ‘the’ before it in Phenix too. Note to you, dear reader. At some point, the popcorn popping got out of hand, and may I mention, they were not popping popcorn in a microwave. I’m not sure what happened exactly (and I’m not even 100% sure popcorn played a role. Popcorn also caused a train wreck on the bridge in Phenix too in the early 1900s, or so the story goes, so I may be getting my stories mixed up). Anyway, the story gets a little blurry as to the cause. Perhaps the oil caught fire. Whatever it was, the house became engulfed in flames. A raging inferno of apocalyptic proportions. Barry quickly maneuvered his thin body out of the burning house and made his way up the pool hill where his house resided on the corner of Church and Charlotte. Except, Barry didn’t call the fire department. Barry hid under his bed while the house kept blazing, and the popcorn kernels kept popping. As a matter of true fact, under his bed is exactly where his parents found him an hour later as the sirens blared and the house was extinguished. At least that’s what I recall hearing sometime in the 1990s. And you can still smell popcorn if you sniff hard enough. And you can still find a kernel that escaped the fire if you search long enough. That’s if the fire was actually caused by popcorn. You see, perhaps more than Patrick Henry, The Aces left their mark on this small town in southern Virginia. A mark passed down one generation to the next, forever etched in eternity. This Bud (Tapman) is for you, Aces. This Bud’s for you. Note: The Aces were not actually a rough and tumble street gang, but they did exist. They were just more of a club instead of a gang like the Bloods or Crips. It’s a true fact from the small town of Phenix, Virginia. 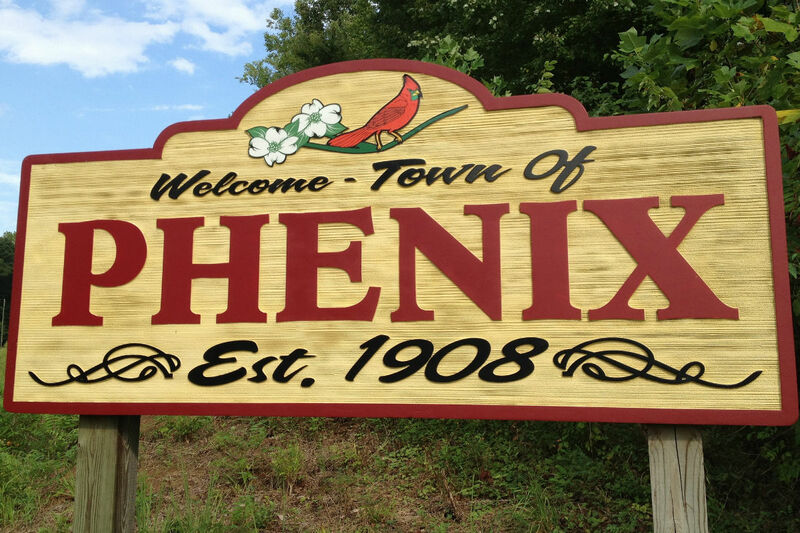 Do you have a true fact from Phenix, Virginia? Submit it here. Include your name (or you can be anonymous), website address if you have one, and your true fact. Note: While your email address is required in your submission, it will not be shared publicly.